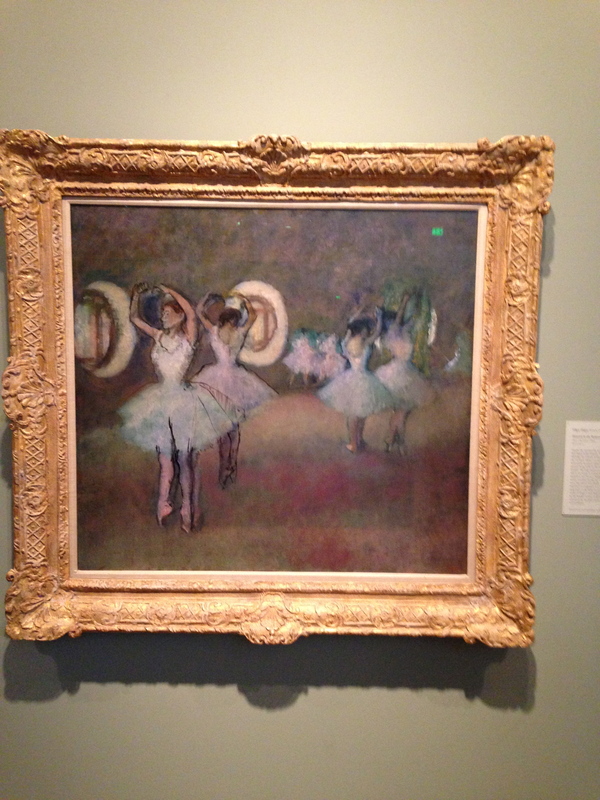 On a recent trip to Los Angeles I had the opportunity to spend the afternoon at The Norton Simon Museum in Pasadena. 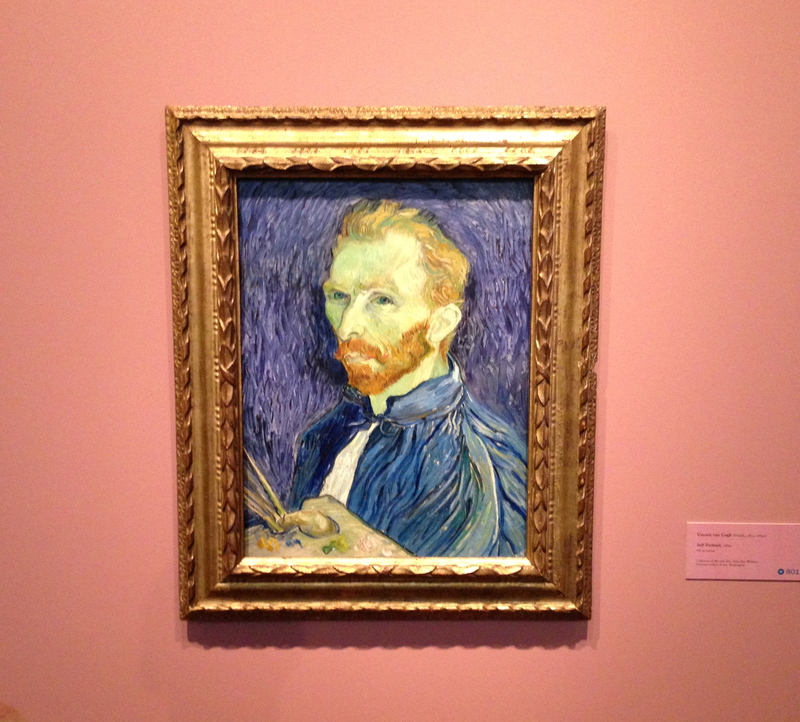 The main attraction was Vincent Van Gogh’s ” Self Portrait 1989. I have included a photo below. It really did draw a crowd similar vibe to the Gioconda in the Louvre. I was also taken with his “Mulberry Tree”. Both paintings are executed using the complimentary colors of orange and blue. This choice in addition to the vigorous brushwork and thick impasto paint application make for a very lively surface. On the museum audio recorded information the curator described Van Gogh as having nervously executed his strokes. I disagree. A former teacher once offered the theory that Van Gogh, perhaps because of his mental states saw energy fields emanating from his subjects and tried to share with us what he was seeing.Interesting theory. 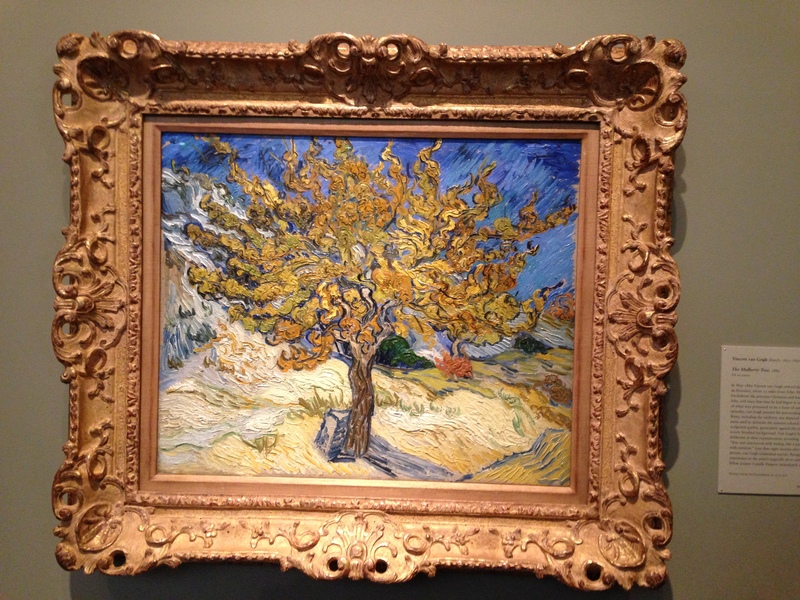 The Van Gogh paintings, the Rembrandt Portraits and the Degas pastels and sculptures where the highlight for me. All of those works held a strong sense of the artist and a connection to the viewer. They had so much “life”, very memorable. I have also included a detail of the Degas pastel “Woman Drying Her Hair”. Portions of this work are very abstract. His ability to use color and create form is just stunning! Beautiful show. I grew up with these paintings at the National Gallery of Art. What luck you got to see them. As you, I don’t always agree with the art historians. I think that you need to understand the painting process to understand paintings by others. So true Suzanne, making art does give us a different perspective! Thanks artmoscow, yes it was a challenge, but so worth it!